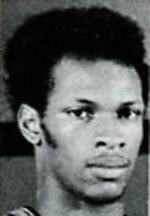 Drafted: Selected by the Philadelphia 76ers in the second round (23rd pick overall) of 1975 NBA Draft. me and lloyd tried out at Canarsie High School together. we was assign to hold each other. on that day I scored 18 points and many assist. my grades kept me from making that team and possibly any chance. I'm glad he went on to be successful. World B. was the best at what he did. There are a lot of scorers but none built like World B., not today. World was a tank. The guy can still shoot today. I know because I have experienced it with my own 2 eyes playing one-on-one with him and watching him beat younger guys today. When I was a Kid playing ball in the alley in Chicago, IL in the seventies a Older guy start calling Lloyd Free because I wasn't shy about shoting the ball. I look at his stats, he shot a decent percentage. I always liked him and this gave me confidence to shoot the ball, because of that attitude, it help me to success in life after my playing days in college. People say that he was a ball hog, but I look at him be offenisve aggressive. PHILLY BASKETBALL IN THE SEVENTIES WAS THE BEST, FROM HIGH SCHOOL TO THE PROS. World B. HELPED WITH THAT.